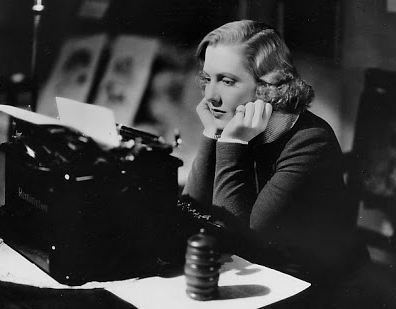 Jean Arthur channels her inner film historian. If we’re honest with ourselves, we classic movie bloggers would admit we’re also history geeks. For example – don’t laugh – last summer we (as in, yours truly) read The Rise and Fall of the Third Reich, a book we can barely lift. As a community, classic movie bloggers know a lot about history – film and otherwise. And here’s our opportunity to collaborate on a project celebrating the history of motion pictures. The blogathon will run from January 12-14, 2014. Below is the announcement from Fritzi of Movies, Silently who created this event. Most movie blogathons center around actors, topics, genres or eras of film. This event is going to focus on individual years. Our range is 1915 to 1950. Participants will each focus on one individual year in the history of film. In order to focus on as many years as possible, we are asking for no duplicates, please. We are co-hosting this event with the dazzling Aurora from Once Upon a Screen and the lovely Fritzi from Movies, Silently (a.k.a. the brains behind this operation). 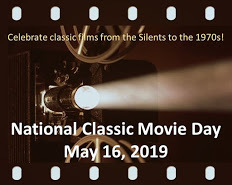 Fritzi will be hosting the silent era (1915 – 1926), while yours truly will host the “talkies” era (1927- 1938), and Aurora hosts the pre- to post-war years (1939 – 1950). I can’t wait! How do I join? You can contact us in the comments section, via email (925screenings @ gmail.com) or on Twitter (@925screenings). Please help yourself to one or more banners from the gallery below. We’re looking forward to reading your fab posts! I’m excited to see what will come out of the event, too – whee! Oh wait! I see your name on the list. Hooray! I couldn’t resist… I’m in I’m in!!!!!! So happy to see three of my favorites hosting this grand blogathon! Well, since this is right up my real-life alley I’d love to participate. I specialize in pre-1920s cinema, so I would be happy to take any year from the teens that is still available…if you’ll have me! How are you with 1918? I will tentatively schedule for that year. 1919 also available. 1918 is great! Thanks for having me. Yup, you’re definitely in for 1918. I’m really looking forward to your post. This sounds great! Just the kind of thing I sit around and think about. If available I would love to take 1936, or as a second option 1934. Let me know, I’m very excited! Paul, you’re on for 1936. Thank you for joining us! So many wonderful people signed on already! I know! I bet we could almost publish a book from all these great posts. I’d like to reserve 1917, if possible – for some Chaplin Mutuals. Yup, 1917 is all yours! Thanks for joining us – can’t wait! challenge accepted! i’m in already so just want to say I can’t wait! Yay! So glad you’re joining us. It wouldn’t be the same without you. I look forward to reading the posts and learning a little history as well!